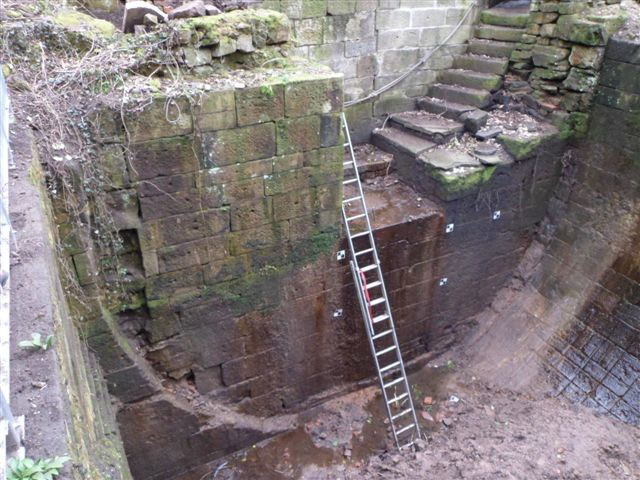 British Waterways and Mellor Archaeological Trust have worked together to submit a joint bid to the Heritage Lottery Fund for 1.3 million pounds. 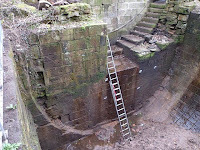 The project concentrates on Mellor Mill Site at the Roman Lakes and the Peak Forest Canal running through Marple. This exciting project is strongly supported by Marple Civic Society and The Vision for Marple. Tuesday evening saw the Civic Society's "Questiontime" open forum evening, held at Marple Evangelical Church on the theme "what do you want for Marple?" The event formed part of the Society's contribution to National Civic Day/Week. A panel comprising Gillian Postill (Chair of Marple Civic Society), Mick McPhee (Chair of Marple Business Forum), David Hoyle (Chair of Marple in Action) and Andrew Bispham (Councillor, Marple North) answered questions from an audience of over 40 members and friends. The debate was chaired by David Ackroyd, past chair of Marple Civic Society. Much of the questioning and comments centred on the proposals for supermarkets on Hibbert Lane and Chadwick Street car park with most of those present voicing strong opposition to the former proposal. Another matter of concern was the deteriorating state of the British Waterways site at Marple Wharf and their apparent unwillingness to take steps to tidy up the site whilst its future is being decided. The evening was concluded with refreshments and the opportunity for informal discussions with panel members. In spite of the dreadful weather Saturday saw 14 Civic Society members out on the streets of Marple taking part in the Civic Voice Civicwatch survey. 14 members conducted 341 interviews from residents who answered the 3 Civicwatch questions: Are you proud of where you live? Do you feel part of your local community? Do you feel as though your voice is listened to? Responses will now be analysed and the results published in local and national media - and, of course, here on our website. Don't forget our next Civic day event on Tuesday 23rd June when we are holding a "Question Time" evening at Marple Evangelical Church on Queen Street, Marple starting at 7-30pm. Representative from Marple Civic Society, Marple Business Forum, Marple in Action plus a local councillor will answer questions on "What do we want for Marple" . The 1875 footbridge was removed last Sunday 17th June 2012 following the installation of a new bridge to allow access to the Manchester bound platform for disabled people. Network Rail have delivered the old bridge to Peak Rail at Rowsley where it will be restored and a plaque attached acknowledging where it came from. More pictures here. Many thanks to Arthur Procter for the photos. The Connect2 bridleway and footpath bridge over the river Goyt and Chadkirk was installed on 20th June 2012 after the two halves were welded together and painted on site. The Connect2 bridleway and footpath bridge over the river Goyt at Chadkirk was delivered on 12th June 2012 and will be installed on 20th June 2012. Have a look at these pictures taken by local photographer and Civic Society member Arthur Procter of the bridge arriving in two halves. National Civic Day this year will be on Saturday 23rd June. As part of the celebrations Marple Civic Society will be taking part in a "national civic pride survey" called Civicwatch organised by Civic Voice, the new national charity for the civic movement. Civic Voice is campaigning to re-awaken the nation's consciousness to the importance of being "civic". Being civic is about being active in your local area, be it by voting on election day, campaigning to stop innapropriate developments or signing a petition. Civicwatch is the civic movement's annual contribution to finding out how "civic" and how proud we all are of where we live - our towns, villages and cities. The results from Civicwatch are used locally by each civic group and by Civic Voice to capture the "state of the civic nation". Civicwatch is a "3 question survey" conducted annually on Civic Day. 1. Are you proud of where you live? 2. Do you feel part of your local community? 3. Do you feel as though your voice is listened to? Local civic societies will invite people during Civic Day to fill in the survey and then use the results to produce a local picture of "civicness" in their area. Civic Voice will analyse the results on a national level and prepare the national publicity. N.B. The survey is anonymous just leave the name box empty. Don't forget to click on the "Done" button after completing the survey. Indicate if a planning proposal is completely unacceptable. ASDA may have gone quiet but they certainly have not gone away. Lets hope that when Stockport MBC tell them that a supermarket on Hibbert Lane is unacceptable because it contravenes planning policy, ASDA decide not to pursue their application. At the Marple Area Committee (MAC) meeting last Wednesday, the chair announced that the Council’s Executive had selected Kirkland Developments as preferred developer for the Chadwick Street car park site. Regeneration Manager, Ian Harrison, distributed a short summary document and answered questions from councillors and from the floor. The main points can be seen here in the latest Civic Society report on MAC. Cllr. Ingham recognised that this is of concern and interest to Marple residents and promised significant consultation. Since the Toll House was added to the Save Britains Heritage 'Building at Risk' register, the Stockport Express has run a feature about it. See article here. It may be entirely coincidental, but BW have recently been seen inspecting the Toll House. A Society Committee member was told that "repair works would be needed to roofs and chimneys, and outside woodwork (windows, fascias, doors, etc) would be re-painted". He was also told that "this is all part of the routine maintenance works carried out on BW buildings which are not currently in use". British Waterways Development Manager Jeremy Harrison contacted the Civic Society in April this year with a view to arranging a meeting. After two years of silence this was, to us, an interesting development. Unfortunately we have not heard from him since then. The Stockport Express (see article here) recently reported that Mr. Harrison said BW and H2O Urban still aspire to develop the wharf and bring it back into "sustainable" use, whatever that means! In the past, during our conversations with BW this has meant the development of houses at the Wharf. However, he is also reported as saying that boating facilities and retention of the New Horizons charity boat will be included in any development of the wharf. Whilst we welcome this change to the original proposal we will have to see what this means in practice, for example where will the boating facilities be located and will New Horizons retain 'their' yard? We believe that a planning application may be imminent and if so we would expect BW to begin a pre-planning application public consultation process soon. In the meantime, Marple Wharf is deteriorating and several members have written to us expressing concern about this. The wharf is suffering from vandalism, rubbish and lack of maintenance. One of our committee members recently spoke to a member of BW's staff at the Wharf. Click here to read a summary of the conversation. Marple has lost one of its last red telephone boxes. The box was removed by BT from its location opposite the Ring 'O Bells on Church Lane. A sad loss to this attractive conservation area. A group of people in Mellor have been organising MELLOR OPEN GARDENS events since 1992. The event takes place every four years and this - the sixth such event - it is on SUNDAY 17 JUNE, very soon! This year a record number of 22 private gardens will be open to the public between 11am and 6pm, and the money raised will go to Cancer Research UK and the Parish Centre in Mellor; this is a much used community facility developed in the former primary school building ten years ago. If you are interested in gardens, but unable to come on the day, you may like to read about the silent auction of rather special garden-orientated lots which money cannot usually buy. Details are here (click on this link for instant gratification). It is expected that a decision will be announced at the next Marple Area Committee meeting to pursue the sale of Chadwick Street car park for the development of a supermarket. The meeting will take place on Wednesday 6 June at 6.00pm in Marple Library and is open to the public. Representatives of the Neighbourhood Team from the Dept. of Communities and Local Government (DCLG) recently visited five Civic Societies from around the country to discover first hand how localism is working in practice. They wanted to discover the barriers that face local Civic Societies and community groups in getting things done. We were fortunate to be one of the chosen five. They were particularly interested in the Vision for Marple, how and what we had achieved and the problems we face in making things happen. Feedback from Civic Voice, who recommended the DCLG team to visit Marple, was very positive. They found the visit informative and a useful insight into the opportunities, threats and problems we face in Marple. Interestingly, other Civic Societies reported similar problems so lets hope this exercise results in changes that make localism easier to achieve.